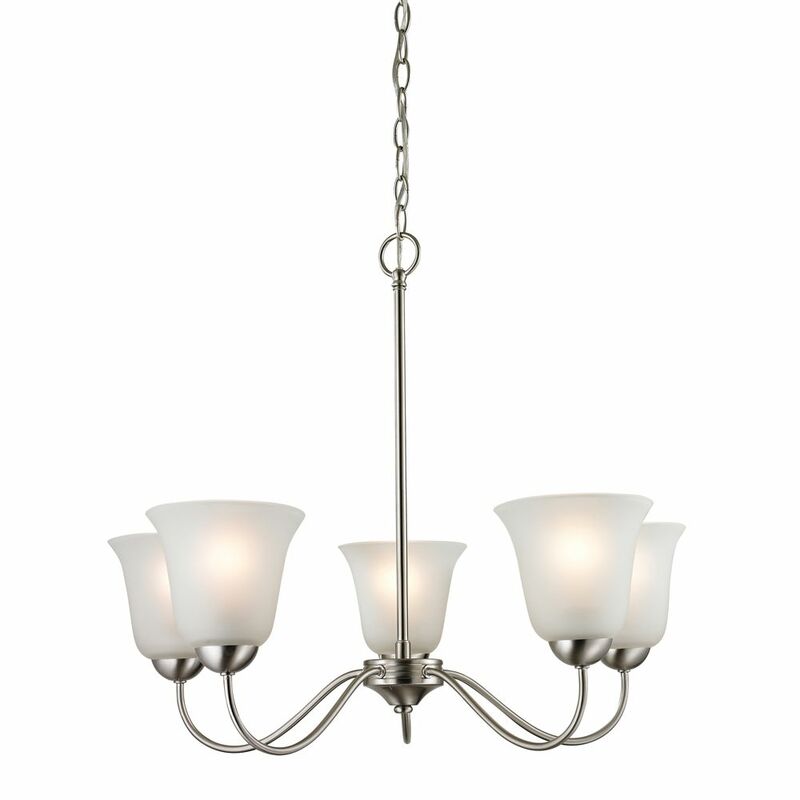 The Commercial Electric 5-Light 60W Brushed Nickel Chandelier with Matte White Glass Shades will add syle and elegance to any room. The brushed nickel finish easily blends with any home decor. It will certainly provide plenty of light with the five 60W bulbs it uses. Perfect for a breakfast nook, kitchen or even an entryway. Characterized by a casual flowing lines, Avalon features rich, etched alabaster style glass shades and braided metal accents. Fixture uses an energy efficient compact fluorescent bulb (included). The Bedford Collection features softly diffused alabaster glass shades on a finely crafted frame. The style blends well with today's home fashion and provides the perfect accent to your decor. Casual with a contemporary flair, Gather possesses a smart simplicity to complement today's home. Etched glass shades add distinction and provide pleasing illumination to your room. Coordinating fixtures from this collection let you decorate an entire home with confidence and style.